It will take few days to break in this pants , but them will give you a fantastic fade and feelings. 15.2 Oz. 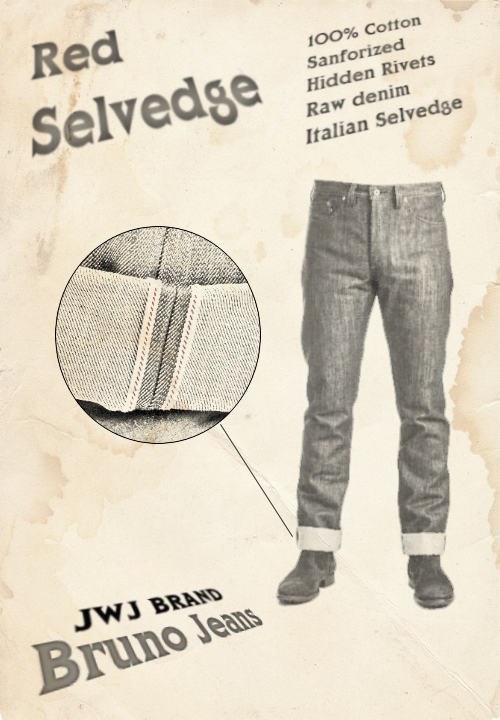 of dense and slubby selvedge denim by Berto mills. Tucked belt loops. Hidden rivets. Vegtan leather washers on back rivets and buttons.One piece fly.Single needle sewed.Selvedge on coin pocket. Flat felled seams for great fade effects Vegtan leather patch hot stamped in blue indigo color.Tappered Slim fit. Selvedge side seams with double chainstitch made with a vintage Union Special 5150-BN.